Outside of the World Famous 5th St. Gym in Miami Beach. 5th St Gym is not located in the exact same place as it originally was. Boxers of all levels come to the World Famous 5th St Gym to train. But so do all sorts of folks. Sparing sessions can be intense. And the memories of the original owner Angelo Dundee is always nearby. I never watched a Muhammad Ali fight live. I was too young, having been born in 1972. I really didn't get into boxing until a brash, violent, and menacing kid named Mike Tyson showed up. But, like most people, I knew the name Ali. Who didn't? His name was iconic. Like a lot of people, I didn't get to know much about Muhammad until much later in life. And I also didn't know that a young boxer known as Cassius Clay arrived in Miami in the early 60s, trained in our streets, won here one of the biggest upset victories in boxing history and soon changed his name to Ali. 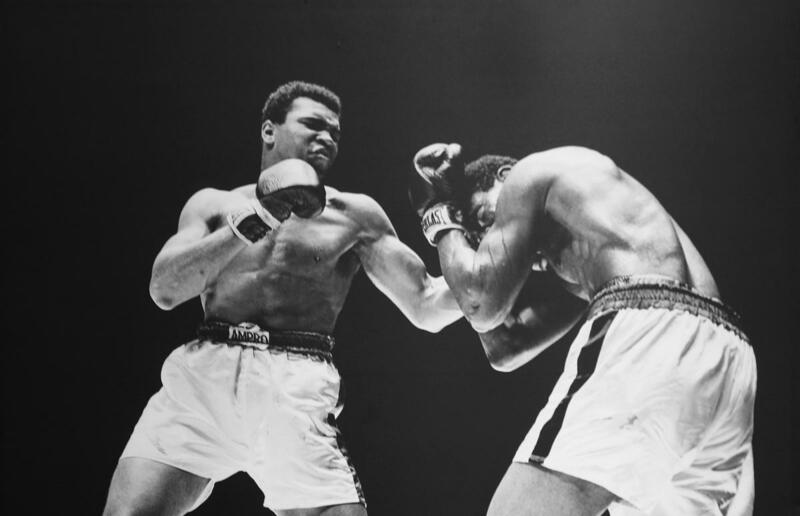 In 1961 Cassius Clay came to Miami and trained to become a world-class boxer. He defeated Sonny Liston in Miami Beach and left Muhammad Ali. Cassius Clay defeats Sonny Liston at the Miami Beach Convention Hall in 1963. A few days later, he announces that he is a member of the Nation of Islam and his name is now Muhammad Ali. That story was told in the 2007 WLRN documentary, Muhammad Ali: Made in Miami, written and produced by Alan Tomlinson. Alan Tomlinson, writer and producer of the WLRN documentary, Muhammad Ali: Made in Miami. Alan Tomlinson, writer and producer of the WLRN documentary Muhammad Ali: Made in Miami. For younger Miamians, like me, it is odd to think that Ali used to run from Overtown to the 5th St. Gym on Miami Beach. And, along the way he would have run-ins with police because seldom was a black man allowed across the causeway. For those who were not here at the time it is also odd to think that Miami was a great place for boxing. But, that's why a young Clay arrived at the doorsteps of trainer Angelo Dundee. And it was here that Clay became Ali after joining the Nation of Islam. Amazing to think that Miami had such a profound impact on a young man, who would go on to become one of the greatest athletes in American history. The World Famous 5th St. Gym is no longer in the same spot it once was when Clay trained. But the owners won't let the Clay/Ali legend die. From the front to back there are photos of Clay/Ali everywhere. And co-owner Dino Spencer reminds every young fighter of the significance of Ali on their careers. Dino Spencer, co-owner of the World Famous 5th St. Gym. Dino Spencer trains with Bilal Laggoune. I didn't get to experience Muhammad Ali in his prime. I never saw a fight live, though I've seen many of his best on film. I never got to watch live any of Ali's poetic performances on talk shows and in front of the camera. Luckily, many of them have been recorded so we can go back and see how he oozed a playful persona and braggadocio that is seldom seen. What I can say is that I got to watch as this man who personified power and greatness battled Parkinsons and still held a glimmer in his eye. And Miami should always embrace the fact that here is where the legend was born. Amateur female boxers Avril Mathie and Ali Rosen put in three rounds of sparing at the World Famous 5th St Gym. Before basketball, the sport to behold in Miami was boxing. That love of sport captured the imagination well beyond the sunny sands and palm trees. Fifty years ago this week, Charles "Sonny" Liston fought Cassius Clay for the World Heavyweight Championship at the Miami Beach Convention Center. The beloved 22-year-old boxer from the 5th St. Gym stepped into this fight as Cassius Clay and people say he emerged as Muhammad Ali. Stacey McKinley has trained some of boxing’s top fighters, from Ray Mercer to Mike Tyson. But it is a 17-year-old Broward high school girl — his first time training a female — that has him pumped up and brought him back to the amateur ring. Chasity Martin is ranked the No. 1 youth female boxer in Florida, and No. 3 in the country. She’s vying for a spot on the 2016 U.S. Olympics boxing team. Barrel-chested Leo Thalassites squints like Clint Eastwood, hops around like Jackie Chan and has been an active cop for nearly six decades. He is 86 years old. He first joined the Miami-Dade Police Department in 1956. He moved to the Hialeah Police Department in 1963, where he has been on active duty ever since. And now, according to the International Police Association, he is the oldest active police officer.